Who Is The Council of Light? As a clear channel of the light, I continue to show up in the present moment… To connect with the highest possible Divine love guidance that will most serve now. And through this willingness to show up and through continuing to progress on my personal path of ascension, and mastery, who shows to speak and broadcast light and guide us each on our ascension journeys has continued to elevate and expand too. 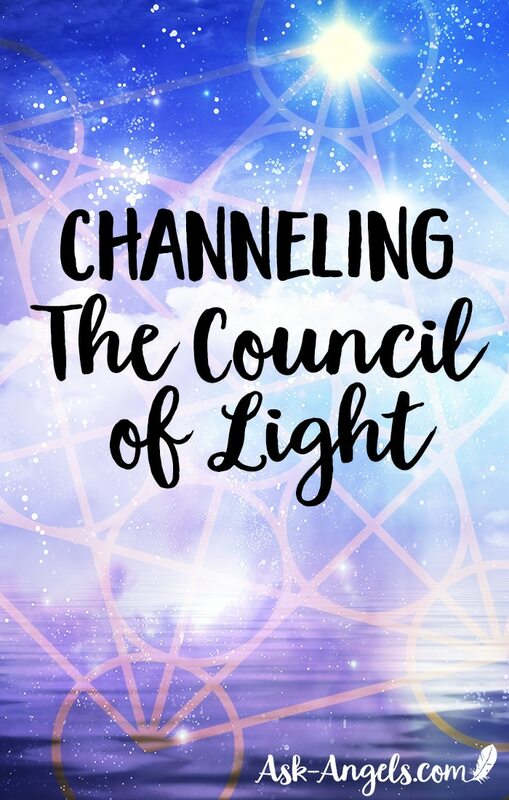 If you've been following my channeled messages for a while now, you've surely noticed my connection not only with the Archangels… But also with The Council of Light. 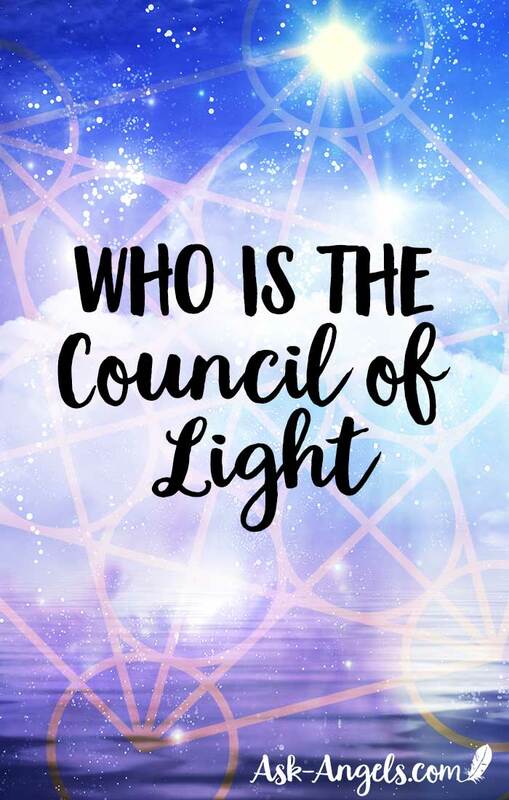 “Who is the Council of Light”? Greetings from the Council of Light. We are most pleased to connect with you this day and to provide a further clarification and a bit wider snapshot for you, to answer the question of who we are. We are indeed Councils of Light. A vast array or grouping of many, many ascended beings, all deeply and fully committed to the ascension of Gaia, Mother Earth, humanity, and you. We serve all souls in the ascension process, both through our ascended presence and holding the Divine template for the awakening of all, and also through our specific communications with way showers within humanity to provide specific guidance, instruction and clarification that will most serve. We share our message and frequency of empowerment and the light of truth that you too may remember your highest Divine and authentic truth, and in this, we welcome you home into sovereignty and into returning to your full and complete Divine embodiment. Indeed, we are here, connecting with you with love and frequency to assist you in freeing yourself from the grip of illusion and returning to the underlying unity and oneness inherent throughout all. Understand that we, the Council of light are individual masters fully aligned in a higher dimensional expression that is beyond what individuality can convey. 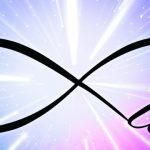 We each as individuals have come into our highest truth as unique Divine embodiments and as such came to a point of choice – the choice made was to retain a direct connection through service to Earth and humanity rather than leave and journey on. Through this choice in alignment with the highest Divine will we have chosen to assist in your ascension process, to light the way through our unity rather than individuality. Through this we are able to serve in a much deeper capacity, and a higher dimensional way. So indeed, we are individual ascended beings who have merged our light, intention, power and focus in a higher dimension of awareness through unity to serve, uplift, and guide all. Yes, through unity rather than individuality we can more fully and expansively serve for at present your collective beliefs as humanity as far varied. The levels of awakening have many points of differentiation and indeed so to are your individual points of origin and resonance varied. This is where our unity, as a vast array of individual ascended members is really able to shine through in the highest service for we are truly able to meet and greet you as one, in a way that will meet you where you are. For wherever you are and whatever you are dealing with and going through, we have been there too. We meet you outside of time and space, far removed from judgement and where and how we connect with you, is truly unique to you. Meeting you where will most serve in terms of the level of your personal ascension and advancement but also in terms of which flavor of our united expression and Divine qualities will most serve you in your ascension process, understanding and coming into a deeper resonance with your true Divine nature in the present moment. We, who have ascended as individuals to fully embody our highest divine light being, connect with you in this moment now as one, outside of time and space, with love and frequency and healing light and energy to support you in the same, in connecting with, experiencing and embodying your highest divine light being first as an individual, and later in unity to more deeply understand your innate connection with the One. And so, when it would serve for our more Archangelic flavor of expression to shine through… This is broadcast. When it would serve for a more intergalactic flavor of teaching, embodiment and instruction… Or alternately when it would serve for a more grounded upon your planet and dimension of experience in alignment with the more well known ascended masters of Earth – This can become our focus and perspective. Where we meet you is dependent on what will most serve you. And so yes, our unity and oneness, group consciousness as you may see it is comprised of the fully blossomed individual members highest mastery and divinity which includes the Archangels, Seraphim, Galactic and many, many, Ascended Masters from both within and beyond the Earth realm. From both within and beyond your present density and dimension. We understand this way be challenging to grasp for it is indeed multidimensional and therefore wish to clarify. We are present with you in this very moment now united as one within the infinite. Through this unity, we greet you outside of time and space in the way and configuration and alignment that will most serve you. Through this we meet you in the ever-present now, the point of your power to support you in entering into a new vibrational level of light… Shifting if you are willing, into a new higher timeline of possibility for you to experience the profound embodiment of your highest level of divine light and authenticity, for you to embody your higher Divine self and for you to live as the fully awakened light being in physical form you came here to earth to be. For you to ascend, as an individual and united with all the Ascended Masters of Earth and beyond, united in oneness through love. Know that we serve in alignment with the highest interest of all, according to the one True Divine Will… Of the one True and Infinite, Transcendent Creative Source God… Which is far more vast and loving and all expansive than you can currently comprehend. But this too will become more well known to you as you ascend and return to your unique individual expression of your highest Divinity. For your individual mastery is required as a prerequisite to entering into the mastery of love in unity. And in whatever unique flavor or shape or form our teaching and service takes, this is foundational. We serve through seeding light, joy, peace, harmony and love. We serve to assist humanity and earth along the ascension timelines in becoming awakened Christ lights, fully activated individual crystalline ascended beings united as one. We are honored to assist upon your ascension journey, while emphasizing that your ultimate ascension, becoming radiant Christ light and a fully awakened Divine Being is your opportunity, your birthright… To be chosen by you in the moment through embodying, vibrating, and ever ascending into greater levels of crystalline love and light. As Divine beings we humbly honor, bless and bow to the infinite Divine being in you. At this point, I've brought through many truly incredible channeled messages and activations with the Council of Light. I feel my biggest problem is where or how does someone start this journey, the path to connect to my higher self, to be honest I am not even sure I have an higher self, I have no sense of its being. So I guess I need help and guidance to set me on the correct path, the path where I start to discover my higher self….. Wow!!!! What a beautiful, inspiring, uplifting, fulfilling, message was that my dearest Melanie. Thank you Council of Light and thank you my sweet Soul Melanie for that wonderful experience. God Bless you. Love Light Peace to all!!! Wow, very powerful and illuminating. Thank you Melanie. I will need to listen a few more times to fully grasp this.